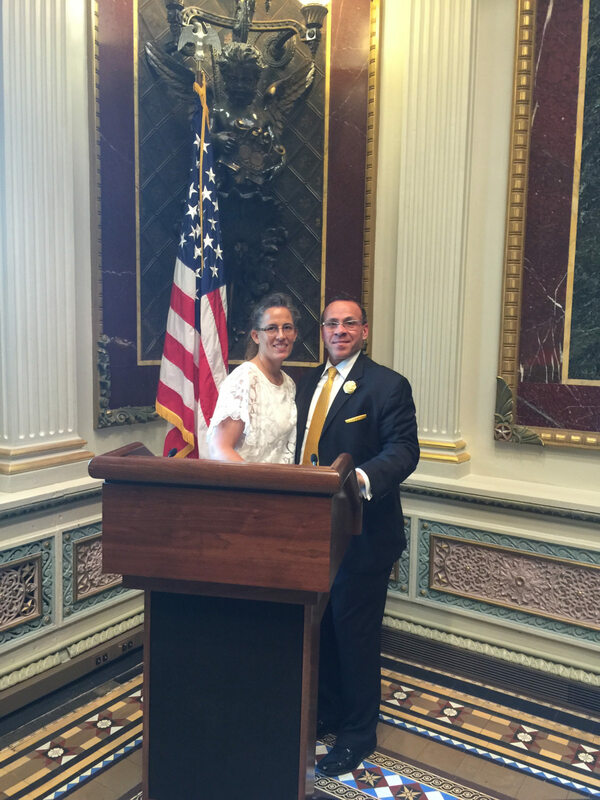 Dr. Paul Murray at the White House with my wife after invited guests to a White House Briefing. 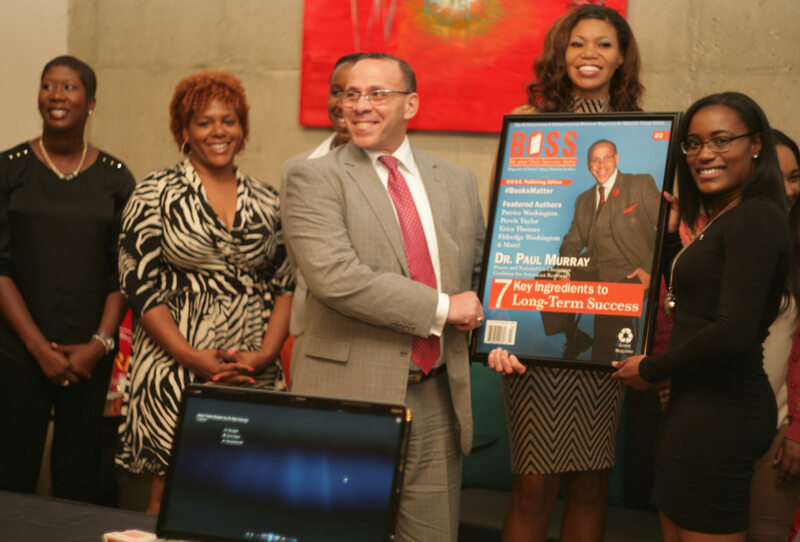 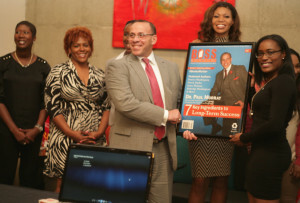 Dr. Paul Murray Receiving framed copy of the magazine, BOSS, where I am featured on the cover. 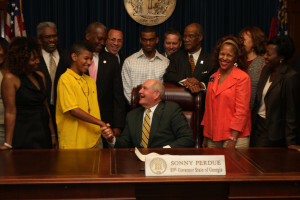 Dr. Paul Murray with Georgia Governor Sonny Perdue as he signed new legislation modifying the non-tolerance policy of objects brought to school. 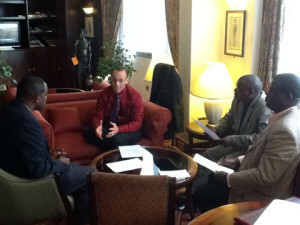 Legislation sponsored by Senator Emmanuel Jones. The young man in this photo was suspended because he brought a Boy Scout pocket knife to school and when he realized it, he went to the head office to ask them to hold it until after school and was immediately expelled and arrested. 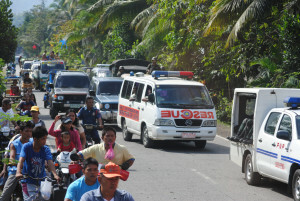 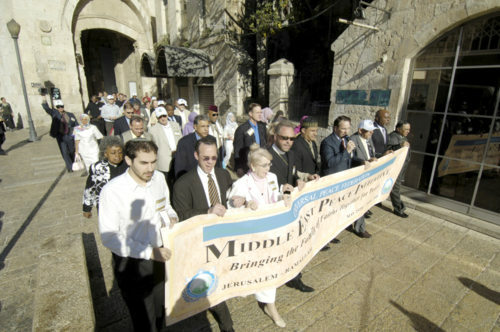 Dr. Paul Murray part of a caravan escorted by military police and special security as I headed to speak in Mindanao, Philippines after violence had broken out between Muslims and Christians. 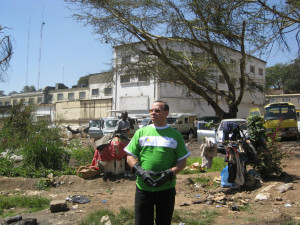 Dr. Paul Murray in front of the slum and dump in Kenya where families make their homes with the trash from the dumps and bathe in the dirty Nairobi River. Gloves and boots had to be worn at all times to protect from the infectious diseases while Dr. Paul Murray gets involved cleaning up the area in Kenya. 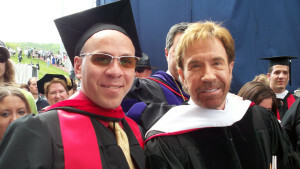 Dr. Paul Murray with Chuck Norris at my graduation from Liberty University with my Master of Divinity. Chuck Norris was awarded an honorary Doctorate in Humanities. 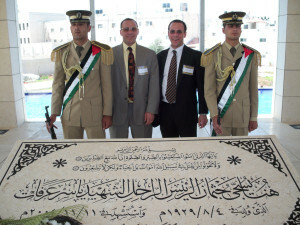 Dr. Paul Murray at the Mausoleum in Gaza of Yasser Arafat after meeting with Palestinian leaders. 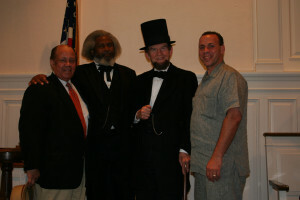 Dr. Paul Murray in Gettysburg with Frederick Douglas, Abraham Lincoln re-enactors and Lou Murray. 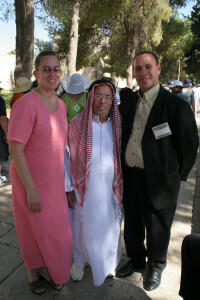 Dr. Paul Murray in Israel with a new friend who brought my wife and me into the Dome of the Rock. 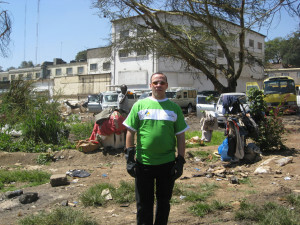 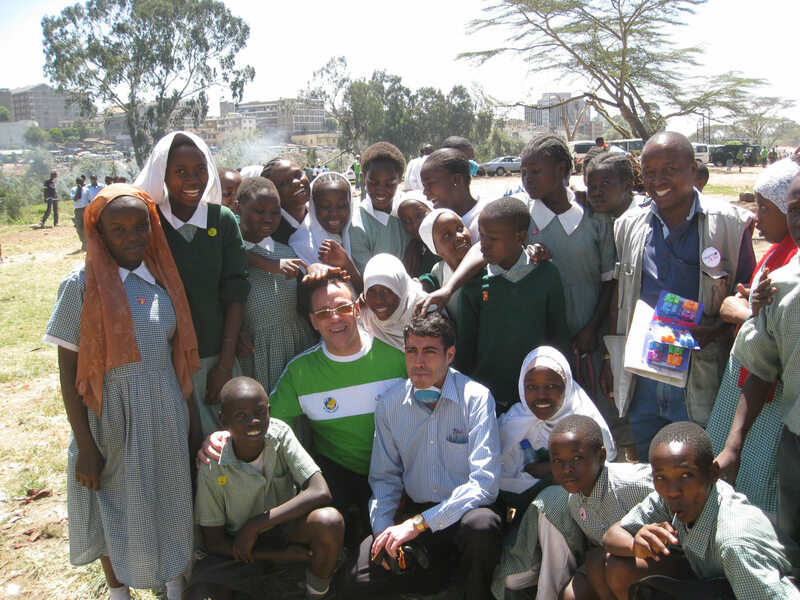 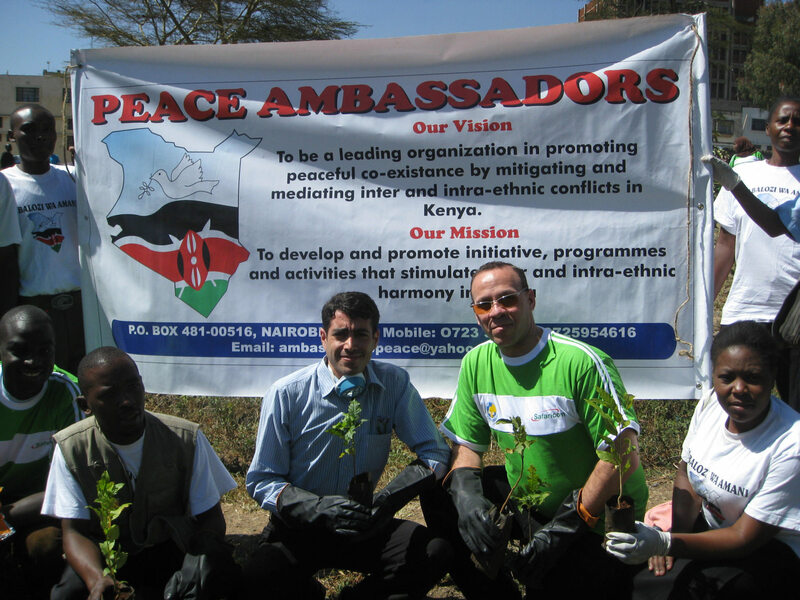 Dr. Paul Murray with a group of young people from local schools who came to help in the clean up of the Nairobi River. 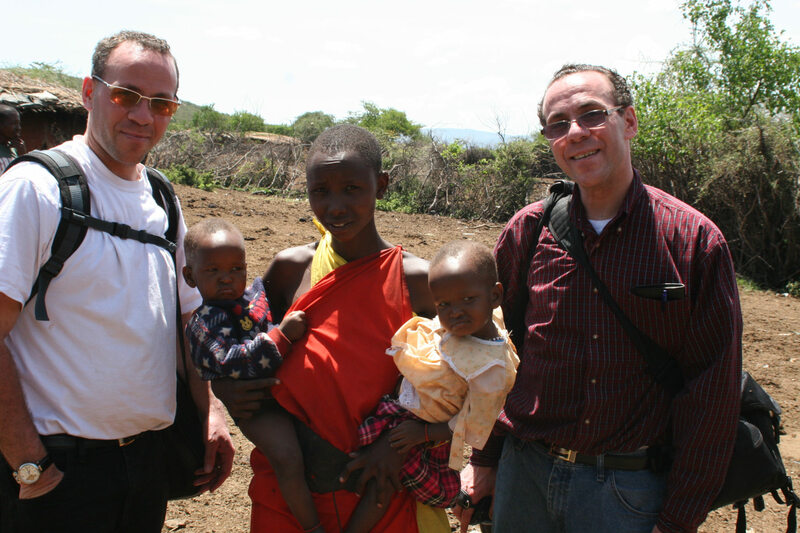 Dr. Paul Murray in Southern Kenya visiting the Masai tribe. 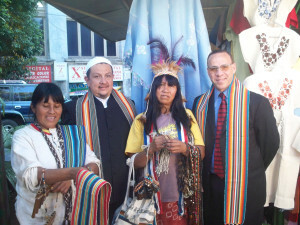 With a mother of twins, which is very rare and the tribe was excited to meet me and my twin brother and wanted us to take pictures with their special twins. 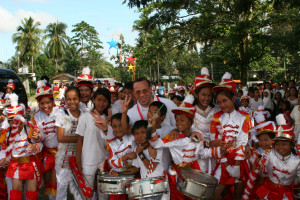 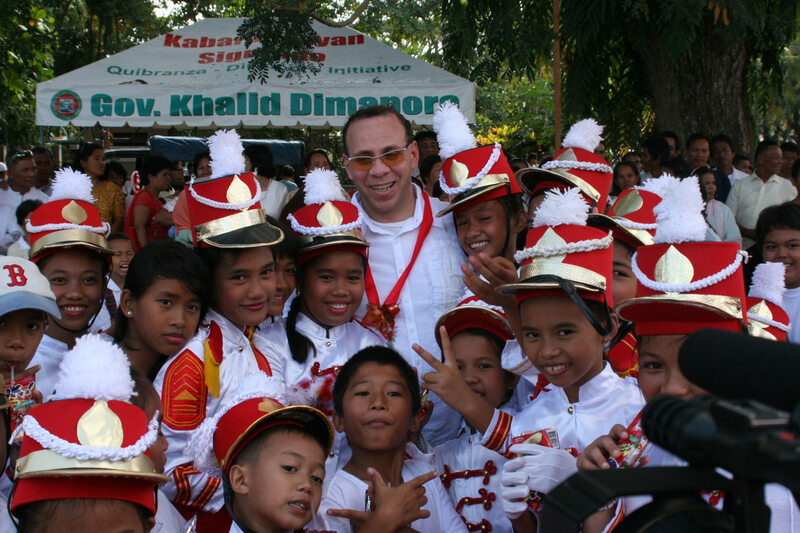 Dr. Paul Murray in the Philippines at a school celebration with the school band. Dr. Paul Murray with a Philippines school band. The kids wanted group pictures and asked that I make sure I post several photos for the world to see! 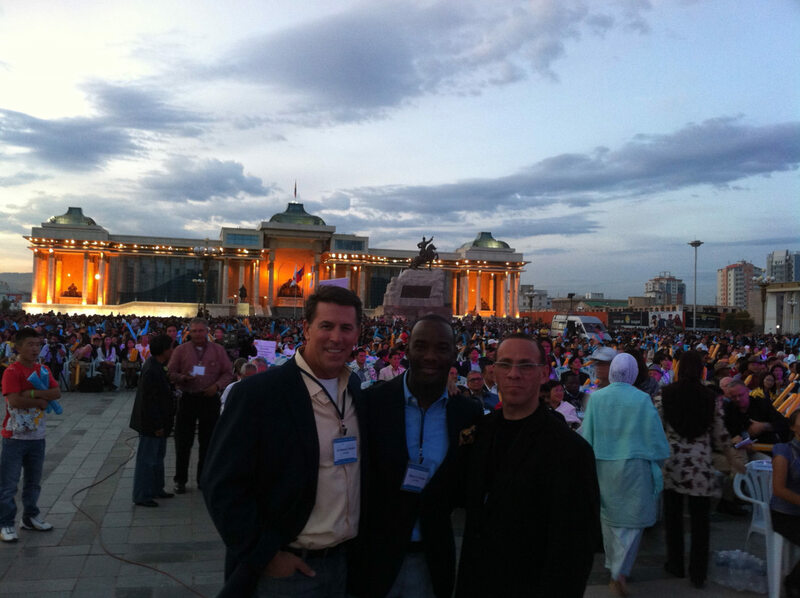 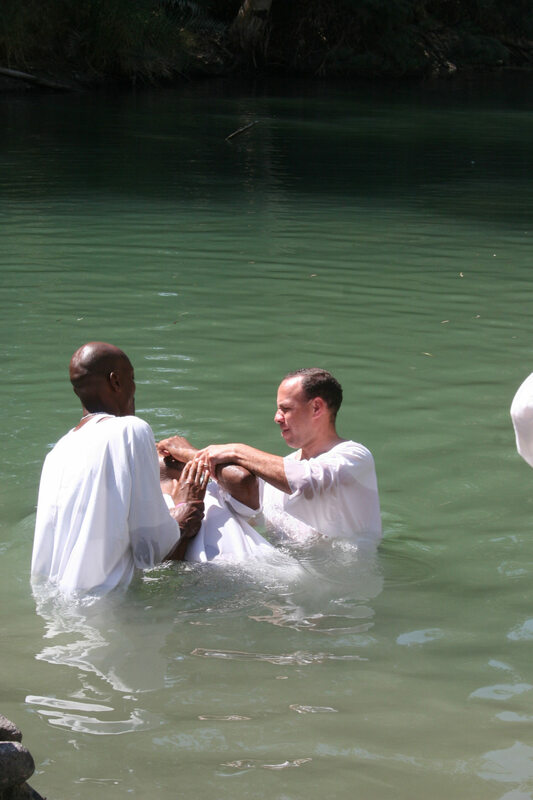 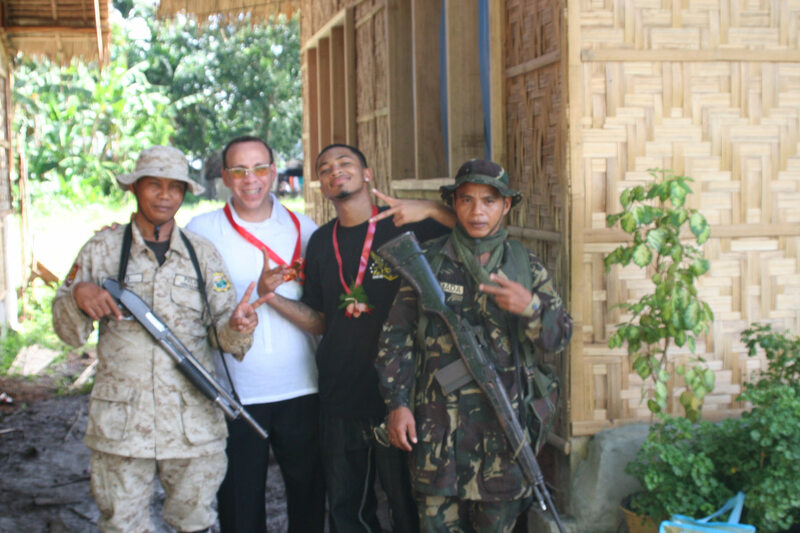 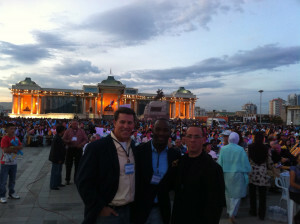 Dr. Paul Murray in Mindanao, Philippines with two soldiers who escorted us to each meeting location. 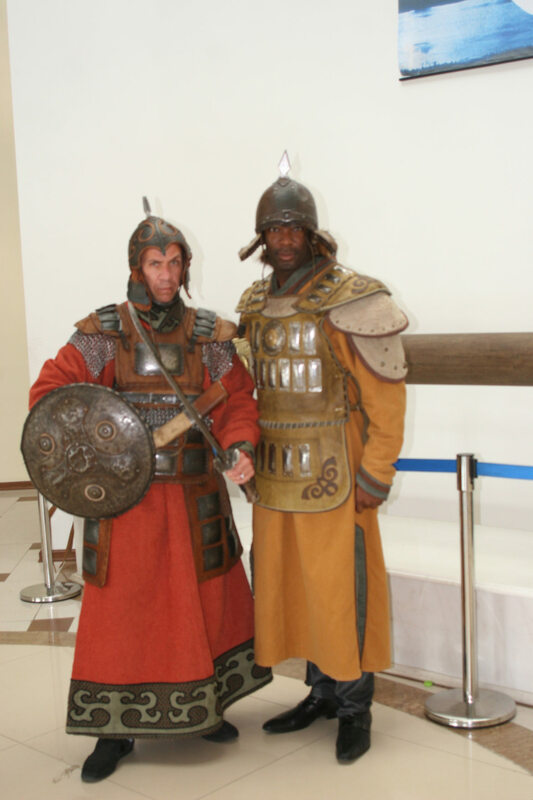 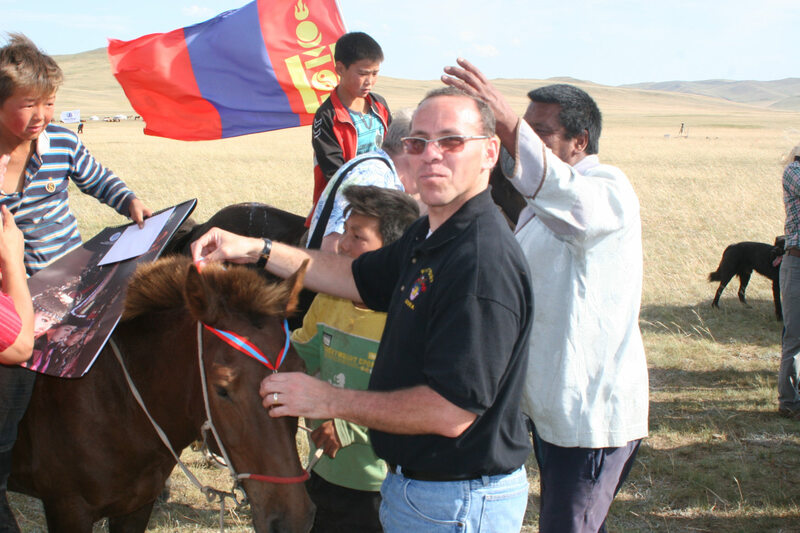 Dr. Paul Murray in Mongolia with the military gear like the ones worn by the 13th Century Mongol Empire when Genghis Khan reigned. 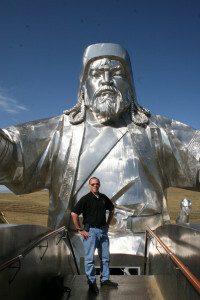 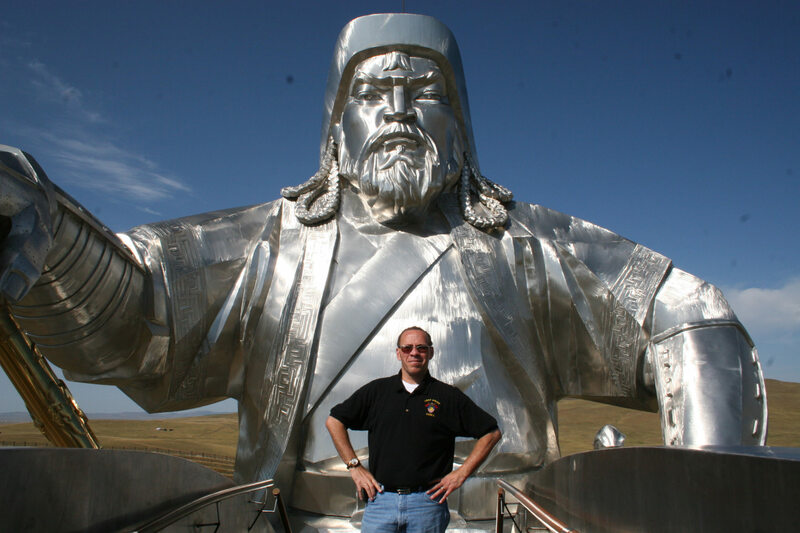 Dr. Paul Murray standing atop the 100-meter tall statue of Ghengis Khan who is on horseback. 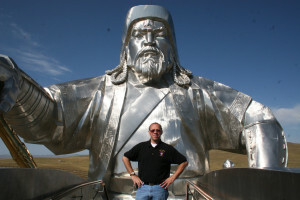 This statute is located on the bank of the Tuul River at Tsonjin Boldog. 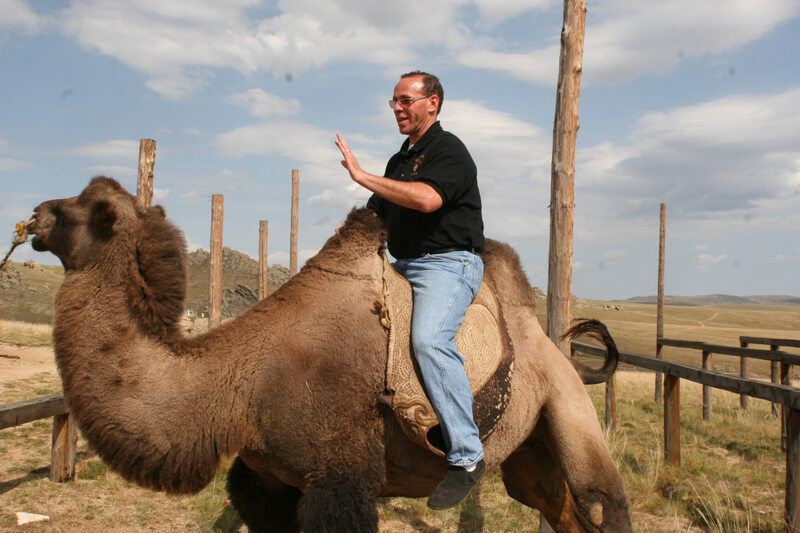 It is basically out in the middle of nowhere! Dr. Paul Murray in another shot – amazing the size of the structure is covered in 250 tons of stainless steel. 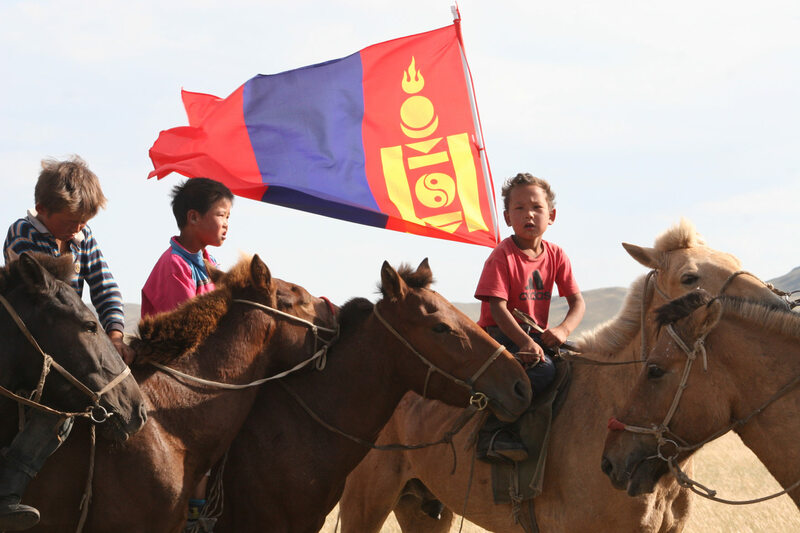 This is the first of the development of 200 Yurf camps to become a major tourist attraction. Dr. Paul Murray getting ready to go for a camel ride in the Mongolian countryside. Mongolian horse race done annually by young riders who train all year for this event. Dr. Paul Murray awarding the horse and rider who came in first place in the race. 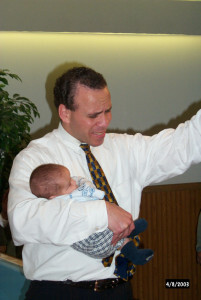 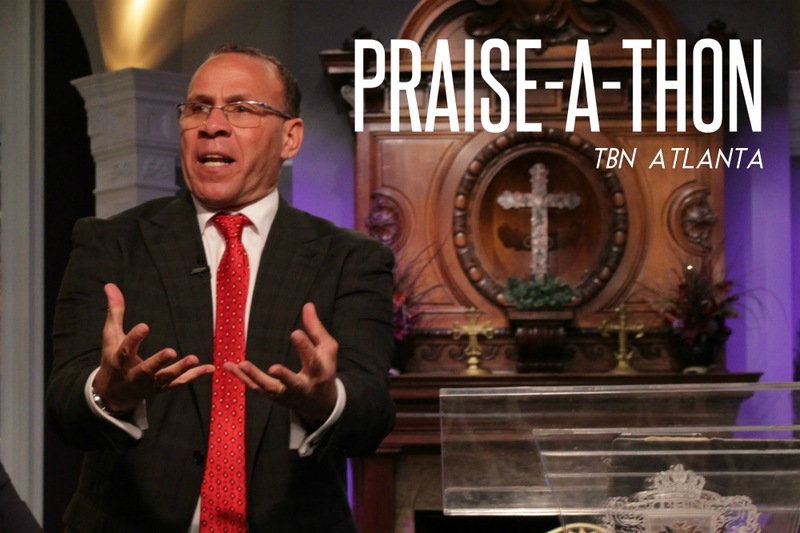 Dr. Paul Murray praying over a baby during a special baby dedication. 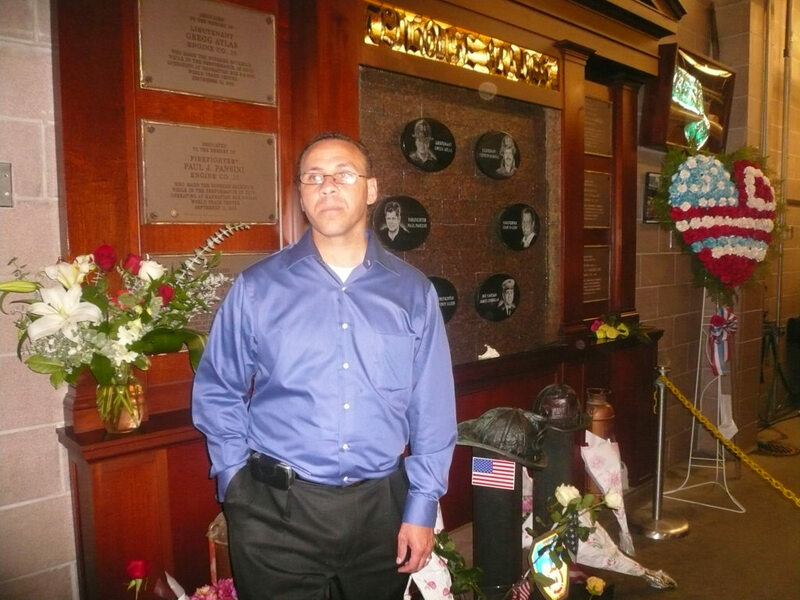 Dr. Paul Murray in front of the Fire Station near Ground Zero of the Trade Center. Many firemen were lost from this station as they were one of the first to arrive on the scene as it was so close to the towers. 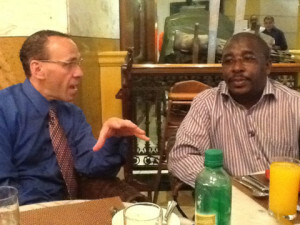 Dr. Paul Murray in discussion with Pastors in Nairobi presenting the model for a National Faith Leaders Summit. Dr. Paul Murray in discussion with a leading Pentecostal Pastor in Nairobi as I appoint him as Chairman of the National Faith Leaders Summit of Kenya.